Why Keyword Density is Still Important in SEO? If you are searching what is keyword density in SEO so you might know the concept of SEO but seems you are like a newbie in this field and want to know what is the keyword density, prominence and proximity etc etc. Once you write a post or article it is very essential to know where you place your target keyword and how many time and the how many time is the answer of your question I mean this is your keyword density that how many times you used your target keyword in your single post. So, the basic formula is very clear. Now go to step ahead. In SEO(Search Engine Optimization ) keyword density is a technical term by which many newbies in this particular field does not know this term or even though they don’t want to carry that the density of keyword is important in their article. They just put their keyword here and there and when the ranking of their keyword not getting the higher rank on search engine they get frustrated and refused to do SEO. So remind one thing it is an important factor in SEO. 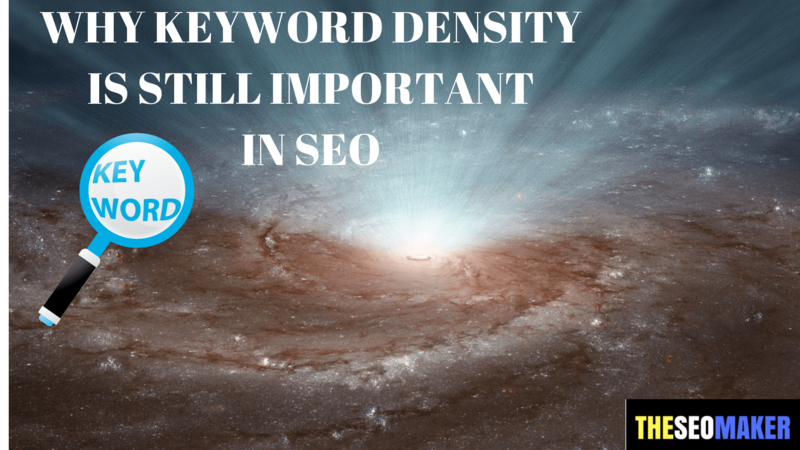 In technical term, we will say that keyword density is a percentage of keyword repeating in the whole article and that is 3% of your total words. Which means if you write a 100-word article you should use your target keyword up to 3 times. Many people think that this percentage does not vary or this percentage is not essential but nowadays Google becomes very smart and if you want to try to manipulate Google algorithm you can be panelized. If you are not set your keyword density, Google or other search engines will not identify that what is your focus keyword or on which keyword you want to rank on SERP. If your keyword density is above 3% google or other search engines thinks that you are stuffing your keywords in your article and google neglects keyword stuffing. If you do keyword stuffing google will never allow you to rank high on SERP(Search Engine Result Page). So keep in mind that don’t do keyword stuffing. By the name you can easily recognize that keyword stuffing is a process to stuff your keyword here and there without knowing the circumstances of being penalized and downgrading your ranking on search engine. Keyword stuffing is a very wrong method to rank your keyword google. If you think that you stuff your keyword more than 3% and Google recognize your keyword first and rank you higher so this is your biggest mistake. You will never rank higher by this. Your keyword should be in H1 tag because crawler will see these things like your meta tags so keep this in your mind. It is very essential and helpful for you in On-page SEO. After doing that just see that how many words in your article suppose you have written an article of 1000 words so calculate the 3% of 1000 it is 30 so you will repeat your keyword max 30 times. Just press Ctrl+F and in the search box type your targeted keyword and then you see how many times your keyword is repeating. After that, you can correct your keyword percentage. There are so many tools available in the market to check keyword density as smallseotools and many more tools are available in the market. You can easily check the keyword density of your article. If your keyword density is around 2% so it is good but no more than 3%. Avoid keyword stuffing in your article. Don’t use too many LSI keywords in your article as well as in your meta tags. I hope you guys like this post and if you like my post just share it as much you can and if you have any confusion regarding keyword density so just comment below I will definitely help you. Thanks and have a nice day.